How digital innovations are easing the omni-channel journey? These days almost every retailer is going online. Tech innovations either in front- end area or back-end sides are just helping the brands in making their omni-channel journey easy. Shoppers of these days are going across the channels to make purchases; hence, making it mandatory for retailers to be present everywhere. Once the retailers go omnichannel, creating a seamless experience is one of the biggest tasks for them. Technology has a very big role in making entire omni-channel journey seamless. Retailers across the world including Indian are striving hard to find a solution so the customers don’t differentiate difference channels. Let’s shed light on few tech innovations and challenges that few big retailers are facing these days.. He also informed that homogeneous product such as Maggi Noodle or any electronic products see the higher traction in online channel. However, when it comes to fresh and staple people tends to visit offline store to get touch and feel of the product. “Vegetables see higher penetration in online channel comparing fruits because vegetables fall in homogenous category; however, with fruits the ‘ripe’ factor is very important, informed Bhandri. The company has not started click and collect model yet. However, the company offers free home delivery for in- store shoppers. The company tends to get higher wallet share in online channel as he informed. Recently, leading footwear chain Metro Shoes Ltd was facing challenges in managing orders coming from multiple online platforms. Hence, the company upgraded to IBM solutions to create seamless experience. Earlier the same task was handled by unreliable software, leading to lack of visibility of real-time data of sales, inventory location and returns. In addition to its inventory management challenges, Metro Shoes Ltd needed to improve online presence for some of their popular internal brands which were getting low visibility impacting overall sales. The company is working on some fantastic technologies to improve in the store experience. 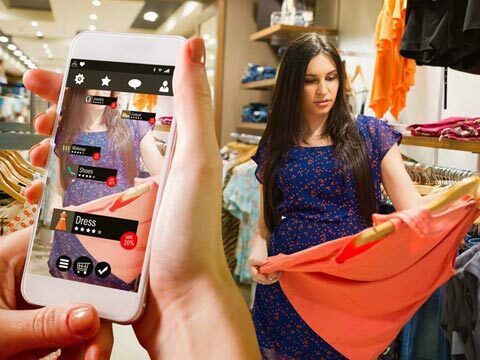 The company is just come up with an innovative solution called ‘Interactive Display’ which is largely meant for fashion retailers. Unlike to online shopping, checking the availability of your ‘size’ in entire repository of store could a cumbersome task for any shopper, especially during peak hours when on floor sales staff could be busy in entertaining other customers. Interactive Display can be placed different areas and customers can browse entire catalogue on digital screen. Sharing her experience she said, “Inventory management used to such pain point for us and matching that with online just add the chaos. Now we barcode the new stock using simple devices. When we made the inventory live it really took us long not because people did not adept to it, we also made efforts employees to adept it. Clearly, as the brands go on multiple channels the role of technology becomes extremely important in making the entire omni-channel journey seamless.